SOME SRC members, who are also ANC Youth League (ANCYL) members, have dropped their black, green and gold T-shirts in favour of the red berets of Julius Malema’s new party. 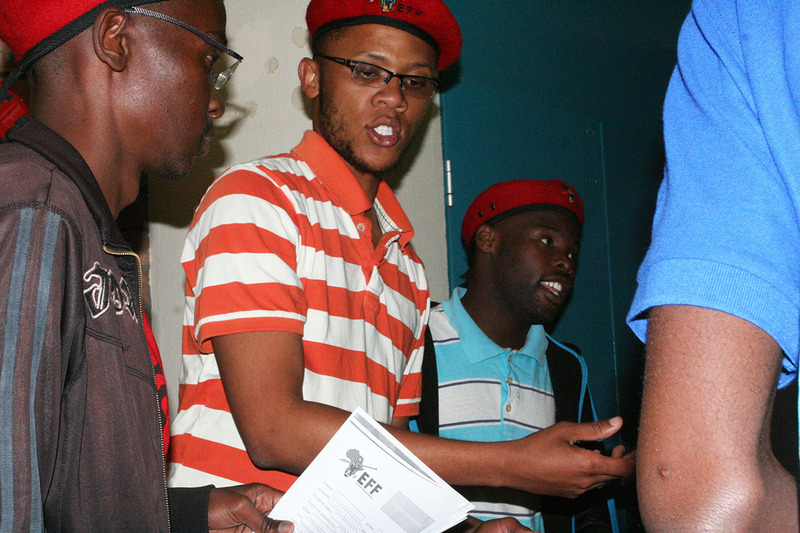 SRC vice president internal, Tokelo Nhlapo, joined the Economic Freedom Fighters (EFF) on Tuesday after what he says was “a long time of introspection” and consultations with people he looks up to and admires. In an article published in Wits Vuvuzela on July 19, Nhlapo said there was no difference between the ANCYL and the EFF, but accused the EFF executive of being “dodgy characters”. Nhlapo said he decided to join the EFF because the ANC betrayed the Freedom Charter and legitimised the poverty of black people while protecting white wealth. Nhlapo’s sudden jump from the Progressive Youth Alliance (PYA), which includes the Wits ANCYL, to an opposition party comes at a time when the EFF is starting a branch on campus. PYA and South African Students Congress (Sasco) member Mbe Mbhele has also jumped ship and was seen campaigning for the EFF at Barnato residence on Tuesday night. “I am a member of Sasco but I campaign for the revolution,” Mbhele said. Pambo said Wits EFF was in sensitive deliberations with members of the PYA, Young Communist League and Sasco but could not give their names because these individuals “hold positions in the SRC” and other ANC-aligned movements.